MADISON, Wis. – The No. 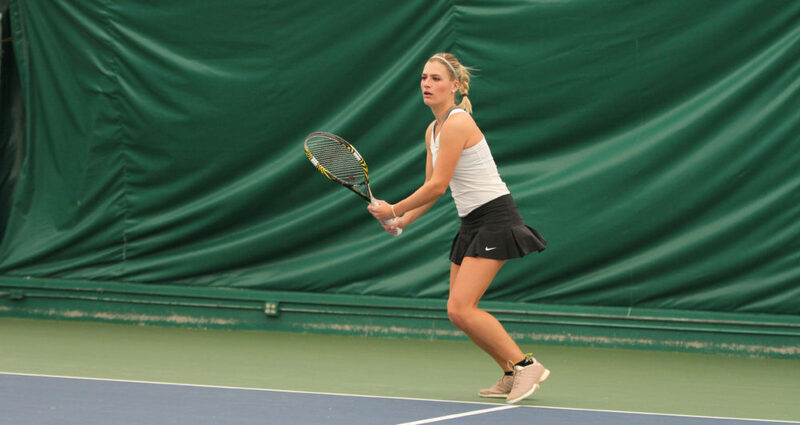 36-ranked Gustavus women’s tennis team started play at the Midwest Invite Friday with two matches against nationally ranked opponents, losing 8-1 to No. 23 Hope before falling 6-3 to No. 10 Washington-St. Louis. The losses drop the Gusties to 11-6 overall.